In this picture, taken with the help of the NASA / European Space Agency Hubble, a massive cluster of galaxies glittering brightly in the silent darkness of outer space is presented. Despite all its splendor, this cluster of galaxies is not at all the poetic name of PLCK G308.3-20.2. Clusters of galaxies can contain thousands of galaxies connected by gravity. Earlier, clusters of galaxies were considered to be the largest structures of the universe – superclusters of galaxies, until this title was not taken away from them in the 1980s. These massive formations usually consist of several dozen clusters and groups of galaxies and span hundreds of millions of light years. 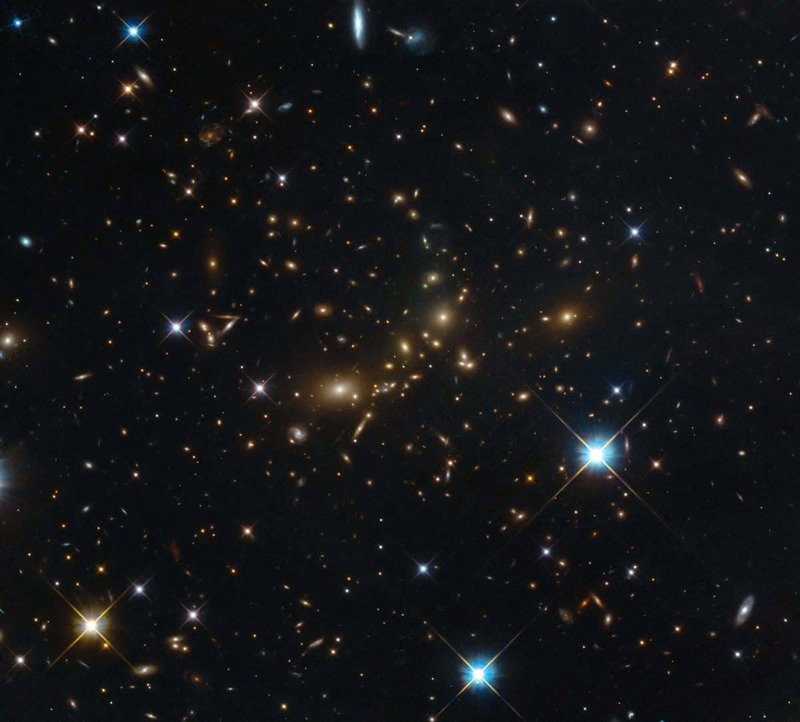 However, clusters of galaxies have one important property, which is absent in superclusters – the supercluster of galaxies are not connected by gravity, so clusters of galaxies remain the largest structures of the universe, connected by gravity.